Finding new patients is uncertain and expensive. Most clinics know that one of essential parts of managing a clinic is re-calling current patients. They improve health of your community and keep your business healthy and profitable. 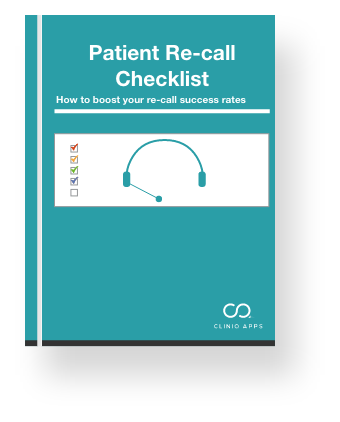 Our checklist runs through the fundamentals of successful re-call management and shows you how your practice can improve. Cliniq Apps helps you grow your practice by automating patient relations. Ready to see Cliniq Apps in action? Obligation-free, no credit card required.